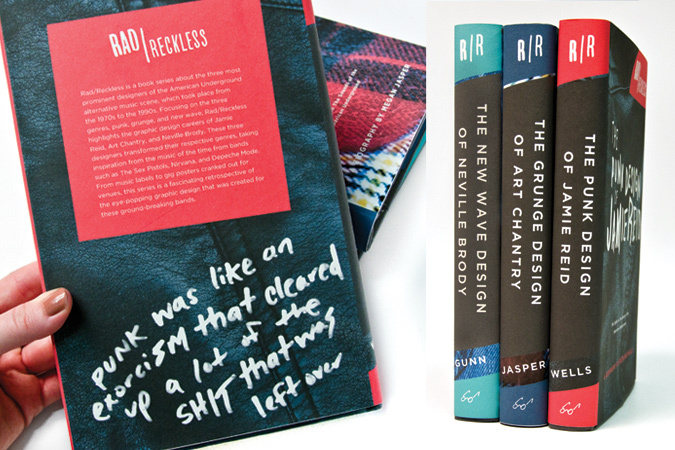 Rad/Reckless is a series that explores the influence of the American underground music scene on the lives and visual works of three graphic designers. 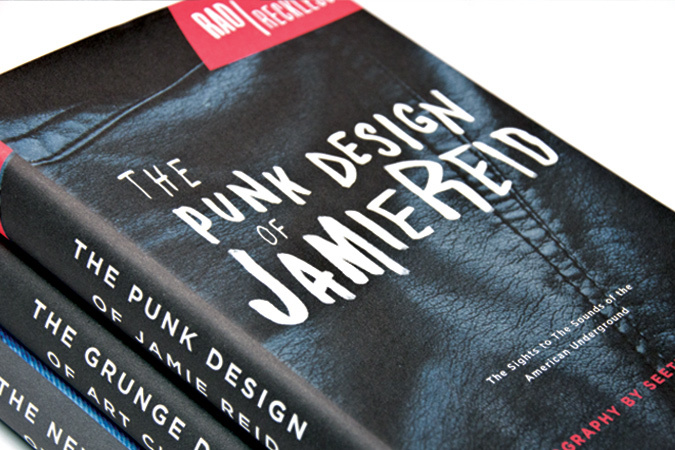 Each book focuses on three alternative rock genres and the designers that gave them a presence from the 1970s to 1990s: new wave, punk, and grunge. 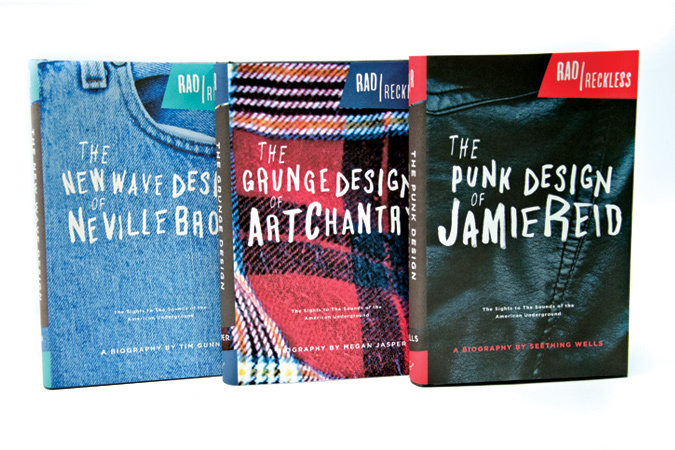 Each cover features close crops of textiles from popular fashion trends of this era juxtaposed against grungy hand lettering with stark angles, and edgy colors.